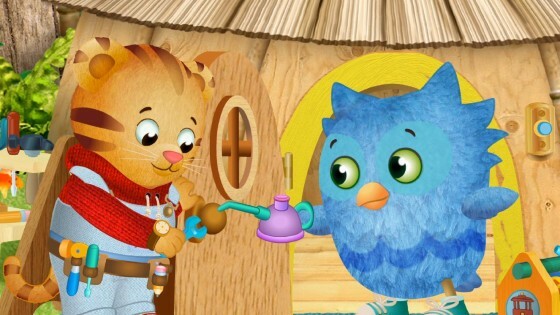 As a PBS Kids VIP (Very Involved Parent) I often get screeners of the shows on PBS Kids. 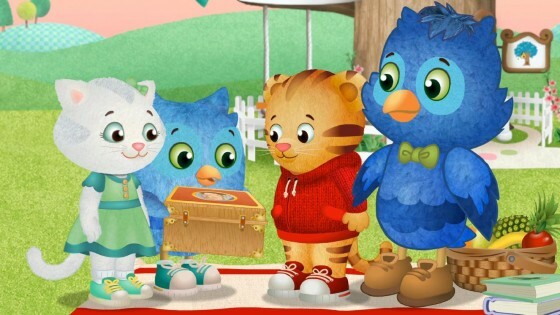 We received a screen of all of the 5 brand new episodes airing February 17-21 of Daniel Tiger. Since Andrew really likes “D” we sat together and watched these episodes. I am impressed with all of these new episodes which are all about identifying and expressing feelings. With a 2 year old child like Andrew who hasn’t fully developed his ability to communicate in words let alone explore his own feelings it is nice to see a show that illustrates those feelings so clearly. The strategies for dealing with feelings of jealousy and frustration are ones that I know we will use. It was also nice to see an episode about empathy and learning to feel what it was like to be in someone else’s shoes. 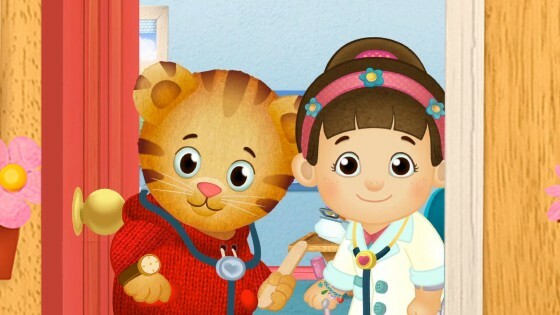 I have a full Press Release about the episodes as well as some new additions to the Daniel Tiger site on PBSKids.org. Strategy: It’s ok to feel sad sometimes; little by little you’ll feel better. “Daniel Gets Frustrated”: Daniel is staying at home with Mom Tiger today. He really wants to play with Prince Wednesday, but the prince is visiting his cousin Chrissie. He asks Mom if they can go to Music Man Stan’s shop, but they can’t because it is closed. Daniel gets really frustrated when it seems that he’s unable to do anything he wants to do. With some guidance from Mom, Daniel learns how to work through his frustration. “Neighborhood Jobs”: Daniel and Mom Tiger are visiting the library today. Unfortunately, X the Owl isn’t feeling very well and needs to go to the doctor. Daniel learns the importance of all the Neighborhood jobs when he and Mom Tiger fill in as librarian for X so he can see Dr. Anna.